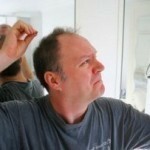 Head lice are small parasitic insects which mainly live on the scalp and neck hairs of humans. Lack of hygiene or sanitation is not a cause of head lice. Head lice are contagious and are passed from an infected person to uninfected person by direct head-to-head contact, shared combs and hairbrushes, hats and other hair and head accessories. They can also be found on bedding or upholstered furniture for a short time. Lice and their eggs are unable to burrow into the scalp. They feed on small amounts of blood drawn from the scalp. Lice are sometimes referred to as cooties, eggs as nits and infested people as lousy. The infestation by head or body lice is termed pediculiasis, and the associated “disease” pediculosis. Delousing or lousing consists of any method for eliminating an infestation. Chemical treatments directed against lice are pediculicides. Those that kill adult and nymphal lice are sometimes called lousicides; those that kill the developing embryo within the egg are ovicides. Lice are not known to be dangerous and they do not spread disease. The bites from lice may cause itchiness and inflammation and persistent scratching may lead to skin irritation, small red bumps or sores and even infection. Neem oil is known as a natural insecticide and will kill the lice and nits (lice eggs). Neem oil can be bought at health food or natural stores. Combine 3 tablespoon in carrier oil such as olive oil or coconut oil and apply to hair and scalp. Wrap hair in plastic for a few minutes, rinse and comb out hair. Follow up with Neem oil shampoo for a few weeks. Persons who do not wish to use any chemicals on the head can remove the nits and live lice by using a lice comb and tweezers (as recommended by the National Pediculosis Association). Repeat process for several days until all signs of lice and nits are gone. White vinegar can be used to remove head lice and is an effective home remedy. It helps by loosening the lice and nits from the hair and scalp. Soak the hair with white vinegar and place plastic cap over hair for 30 minutes. Remove cap and comb through with lice comb to remove lice and nits. Do not use vinegar when using prescribed lice products. Saturate the hair in oil based treatments overnight (cover head with plastic cap, if using mayo let it remain for a few hours only). Treatments include mayonnaise, Vaseline, or olive oil. Remove cap and comb through hair using nit comb and repeat for several days. Heat can also be applied to the hair using a blow dryer to help kill lice. 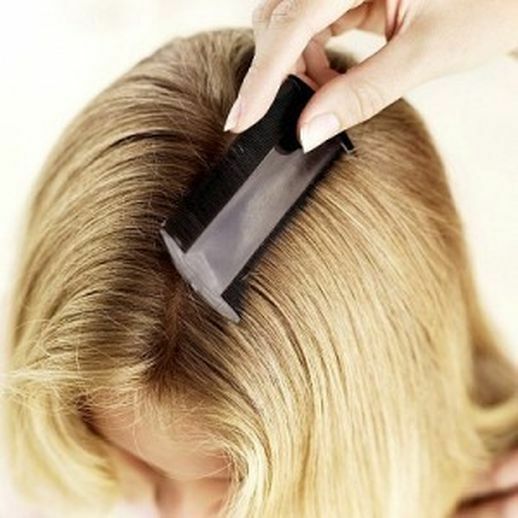 Oil substances make it difficult for lice to breathe. Dishwashing liquid can be used to help in removing the oil from the hair prior to shampooing. Add Tea tree oil to non-oil shampoo and apply to hair and scalp. Lather for 30 minutes before rinsing. Mix shampoo with 3 tablespoons of Olive Oil, 1 teaspoon of Tea Tree Oil and 1 teaspoon of Eucalyptus Oil. Apply this combination into the hair. Wear a tight-fitting shower cap. Wash off after an hour. This combination will kill head lice. Garlic and Lemon Juice paste is very effective in getting rid of head lice. Garlic is scientifically called as Allium sativum. Lemon Juice is a universal remedy for many disorders.